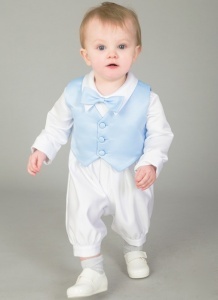 Baby boys white & blue bow tie romper, waistcoat & hat, perfect for your baby boys christening day. 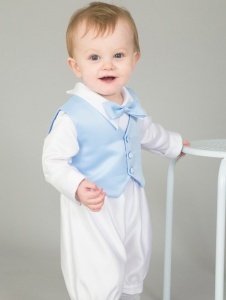 Romper: This pure white satin fully lined romper has a blue bow tie resting on the collar. 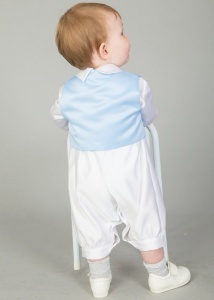 Long sleeves with button fastening on the back and also on the legs for easy removal / changing. 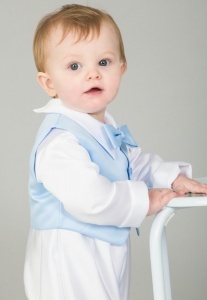 Waistcoat: Blue fully lined waistcoat featuring three buttons on the front. 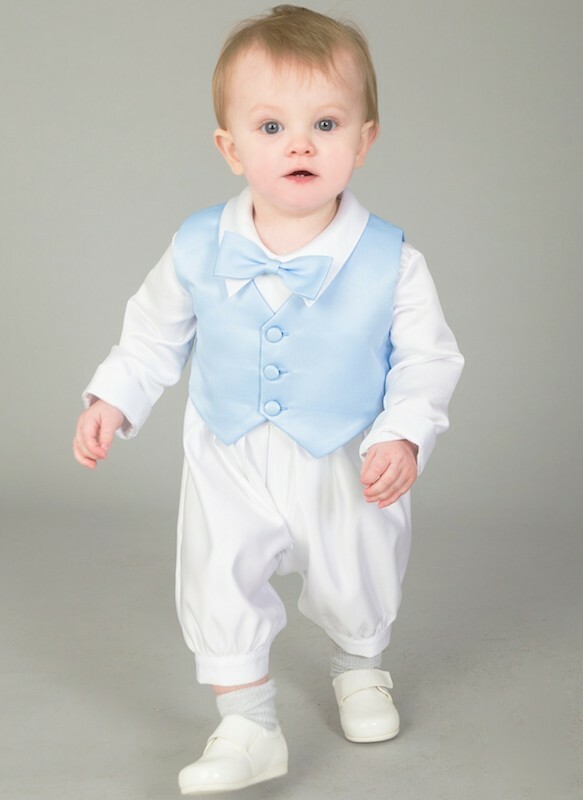 This baby boys white & blue bow tie romper outfit is made with 100% polyester and is of an outstanding quality.